Running Instagram contests is a great idea! Instagram is a huge social media platform, with 700 million monthly active users. So just being active on it already significantly increases your reach and social media presence. But running contest can take it to the next level by increasing your engagement, generating leads, and making your audience happy. We’re sure you encounter tons of contests on your Instagram feed every day, and that is only set to increase. That’s because Instagram contests are one of the best ways to interact with your photo and video loving audiences! The legal aspects of running a contest. How are the best brands and influencers using contests? And that’s what this post is all about! Read on ahead to get a better understanding of Instagram contests and how your brand can benefit from them. It’s pretty easy to run your Instagram contest without getting into any trouble of the law. You just have to be aware of the different types of ‘contests’ you can run, and which you can’t. Just remember that Sotrender isn’t a law office! We can only offer a short summary. Be sure to get proper legal advice and counsel from a qualified individual if you’re unsure of the law in your country. With that in mind, in the US and the UK there are three types of sweepstakes/competitions. Two of them are legal, and one of them is illegal. Sweepstakes/Promotions: This includes any campaign where anybody who enters can win a prize based on chance. So it’s a sweepstake as long as the people playing don’t have to pay and selecting a winner is completely random. This is completely legal. Contests/Competitions: You might think this contest was a general term in this context, but it actually has a specific meaning! This includes any campaign where a person must have certain skills, knowledge, or abilities that are used to win a prize. The winner is based on their ability to demonstrate these skills and has nothing to do with chance. This is completely legal. Lotteries: This includes any campaign where you have to pay to enter, where you receive some form of receipt that will be selected as the winner by chance. This is completely illegal. So if you’re in the US or the UK, make sure you are not running a lottery. Sweepstakes and contests are the way to go when it comes to your brand on Instagram (and any other social media platform!). If you’re in another country, be sure to check the laws governing promotions and contests. Each nation has it’s own rules when it comes to that, and breaking the law isn’t worth an Instagram contest. Ensure everything is legal. Instagram won’t help you there, but our section above just might! 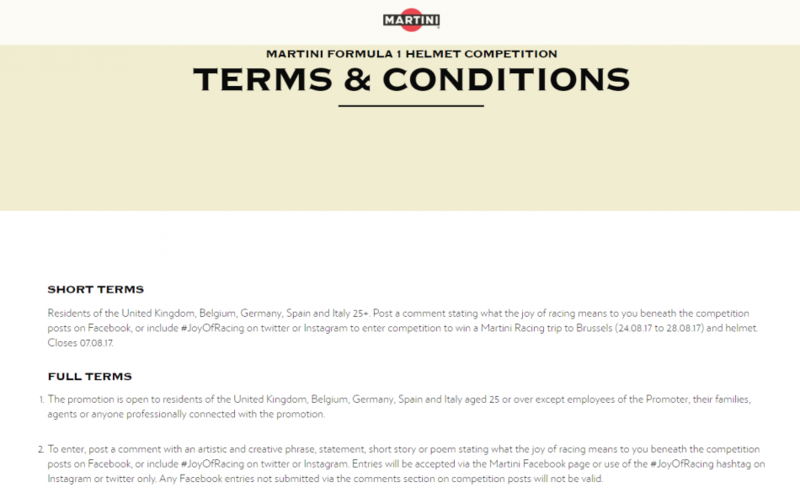 Create and enforce the official rules of your contest. You have to create it and make sure that everyone is following the set terms and rules. Offer terms and requirements for eligibility in your contest. That means what ages are allowed, which country it’s limited to, etc. Not encourage people to spam. You can’t tell your audience to randomly tag other users just to increase your reach or for any other reason. Have each participant acknowledge that Instagram is not responsible for, sponsored, endorsed or administered by, or associated with your contest or what happens during. Agree that you yourself are responsible for administering the contest at your own risk. But don’t take our word for it; we got it right from Instagram’s knowledge base. It might seem like a lot, but it’s really easy once you do it once or twice. And unlike Instagram, we’re here to help with that. There’s a lot to keep in mind when running a contest. But no matter what kind of contest you have and what rules you create, there are some general practices you should stick to. Prepare ahead. You should have everything planned out before you start. If you don’t, you could have a real mess on your hands. Set objectives. What is the goal of your contest and how you measure it? Sotrender can always help with that step. Consider using other social media platforms. Is it worth including Twitter and Facebook in your contest? You might get more reach, engagement, and a happier online following. Choose the type of photo/video contest. There are like to win contests, photo challenges, reposts, selfies, location contests, and many more. Make sure you know which one you want to use. Stick to a theme. Don’t make your contest about too much. Keep to a theme that’s relevant to your brand and easy to remember. And try to share some of your own content or your followers content that fits that theme. Take a look at the best. Which have your competitors rans successful contests? Why were they so successful? Benchmark and apply that to your own Instagram contests (we’ve got some examples down below). Tell users where they can find the rules. If you have a lot of rules and regulations, it’s best to put them up on your bio or website. Just make sure to to tell your followers where they are. It’s important to explain the rules of contest. Make the eligibility clear. Make sure people know which countries are allowed to take part and any other limitations there might be for people entering. Keep it simple. Don’t get too ambitious with your contest. Something straightforward and simple makes it easier for people to enter and easier to handle all the legal stuff. Make a list of all the steps. Make it easy for entrants. Tell them exactly what they have to do step-by-step. It’ll increase the chances of users taking part. Create a unique hashtag. 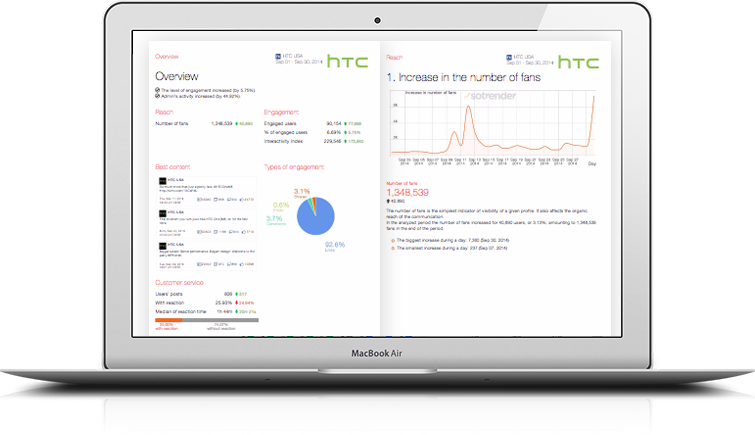 This will allow people to easily spread the contest and get even more people engaged. Pick a really good prize. This is no time for half-measures! First, make sure your prize is relevant to you audience. Then ensure that it’s so appealing that the chance to win it makes going through all the contest steps worth it. Spread the word! Share the contest on your website, your blog, and other social media platforms. The more people that know, the better! Just don’t spam anybody. Run a follow-up. When the contest is done, be ready to pick the winner and let everyone know who it is. If the contest involves submitting content, share the piece that won. And always stick to any dates you set up at the beginning. You have a lot of creative freedom when making your contest, and it can get overwhelming. But if you stick to these, you’re contest will be sure hit! Here are some of the best Instagram contest examples from around the social media giant. Take some notes and get inspired! The popular ice cream company asked followers to share an image that best describes the joy of experiencing their ice cream. The prize? The best pics would be used in custom ads that acknowledged the original creator. Their Instagram following grew by 22% in three months because of it. 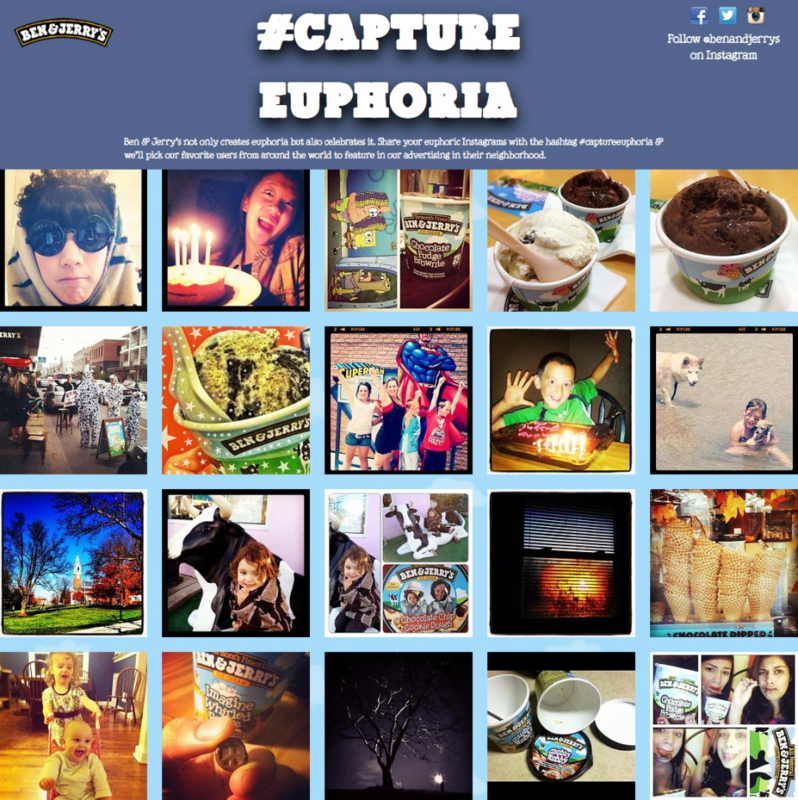 Ben & Jerry’s engaged asked users to post Instagram photos with special hashtag. 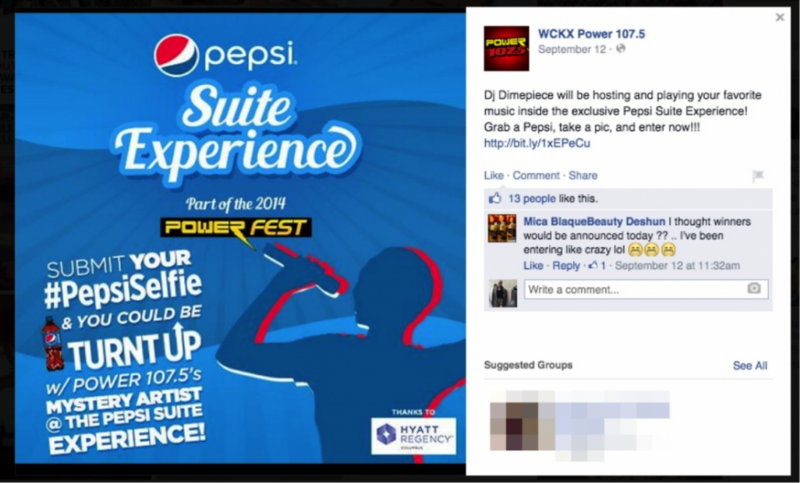 Pepsi teamed up with WCKX-FM, a radio station in Ohio, asking people to send selfies with Pepsi. The prize was a VIP party that took place at WCKX’s concert, PowerFest. The contest brought in $10,000 in revenue, proving to be an amazing success. It also is an excellent example of a cross-platform contest, using Facebook and Twitter to boost the reach of the contest. Pepsi ran an extremely successful Instagram contest. 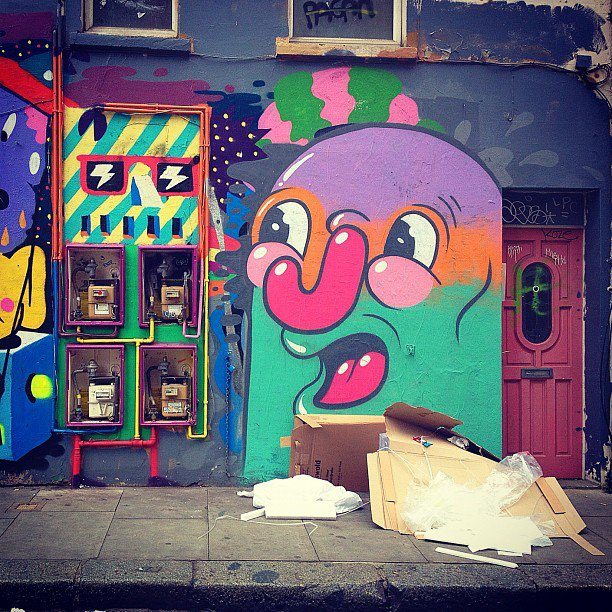 To promote a new line of products, Swatch asked their followers to share photos of inspirational streets. With a catchy hashtag, simple instructions, and a theme that let almost anybody share something, it was an easy success. Can you think of a universal theme that can be used alongside your brand? Swatch challenged their audience to look for some inspirations outside. What do you think about all the laws and regulations concerning Instagram contests? Know any amazing contests you’re dying to share? Let us know in the comments!